Personal relevance is as vital to the learning brain as it is to the person learning. Good news for good teachers: It turns out, the old drill-and-kill method is not only boring, but -- neurologically speaking -- pretty useless. Relevant, meaningful activities that both engage students emotionally and connect with what they already know are what help build neural connections and long-term memory storage (not to mention compelling classrooms). "Long lists of vocabulary words that don't have personal relevance or don't resonate with a topic about which the student has been engaged are likely to be blocked by the brain's affective (or emotional) filters," writes neurologist and former classroom teacher Judy Willis. Plus, says Willis, it's necessary for learners to attach a new piece of information to an old one, or it just won't stick. The brain stores information in the form of neural pathways, or networks. If a student acquires new information that's unrelated to anything already stored in his brain, it's tough for the new information to get into those networks because it has no scaffolding to cling to. Effective teaching helps students recognize patterns and put new information in context with the old -- a crucial part of passing new working memories into the brain's long-term storage areas. 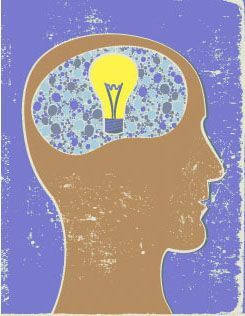 Studies published in the journals Nature; Science; and Mind, Brain, and Education support this idea, and a solid amount of research also links personal relevance and emotional engagement to memory storage. Students need a personal connection to the material, whether that's through engaging them emotionally or connecting the new information with previously acquired knowledge (often one and the same). Without that, students may not only disengage and quickly forget, but they may also lose the motivation to try. Willis suggests that the brain processes underlying this may involve the reticular activating system, or RAS, the brain's first filter for incoming sensory information (sights, sounds, and so on). It acts like a virtual editor of sensory information, letting in certain things and filtering out others. Information has to make it through the RAS to get to parts of the brain where it can be "acknowledged, recognized, coded into patterns, and ultimately stored in long-term memory," Willis writes. What tends to get through? Willis explains that the RAS prioritizes potential threats and things that are new, pique curiosity, or have the potential to bring pleasure -- dry, impersonal facts, not so much. Often, "the learner's emotional reaction to the outcome of his efforts ... shapes his future behavior," write cognitive neuroscientist and educational psychologist Mary Helen Immordino-Yang and Harvard doctoral candidate Matthias Faeth in Mind, Brain, and Education: Neuroscience Implications for the Classroom. In other words, if Johnny doesn't believe a particular activity is interesting, relevant, or within the scope of his capabilities, it's probably not going to sink in. Still, scientists caution, too much emotion can be as detrimental to learning as too little: distractions and stress can also block receptivity to new ideas. Use suspense and keep it fresh. Drop hints about a new learning unit before you reveal what it might be, leave gaping pauses in your speech, change seating arrangements, and put up new and relevant posters or displays; all this can activate emotional signals and keep student interest piqued. Make it student directed. Give students a choice of assignments on a particular topic, or ask them to design one of their own. "When students are involved in designing the lesson," write Immordino-Yang and Faeth, "they better understand the goal of the lesson and become more emotionally invested in and attached to the learning outcomes." Connect it to their lives and what they already know. Taking the time to brainstorm about what students already know and would like to learn about a topic helps them to create goals -- and helps teachers see the best points of departure for new ideas. Making cross-curricular connections also helps solidify those neural loops. With no reference point and no intrigue, say Willis, Immordino-Yang, and Faeth, information is fairly likely to go in one ear and straight out the other.